Top Producing Michael J. Dowling Offers "A Client Service Experience Unlike Any Other!" We Make Real Estate A Fun & Stress-Free Experience! #1 in Transactions and Top 3 in Overall Performance RE/MAX Crest Ltd. Group of Companies 2016. Top 5 RE/MAX (Individual category) Realtor in Vancouver and #78 in RE/MAX Canada 2016! Top 0.3% of all Realtors on The Greater Vancouver Real Estate Board 2016. Master Medallion Club Award and RE/MAX Titan Club and Life-Time Achievement Award 2016. 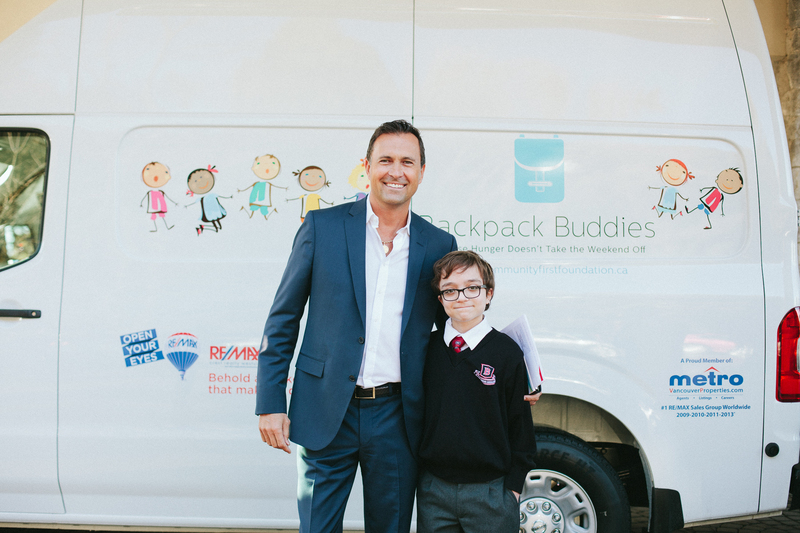 Michael Accepting His 2014 "#2 Top Individual Award" For his REMAX Group of Companies and Suporting One Of His Favorite Charities "Backpack Buddies That Feeds Hungry Vancouver School Kids! 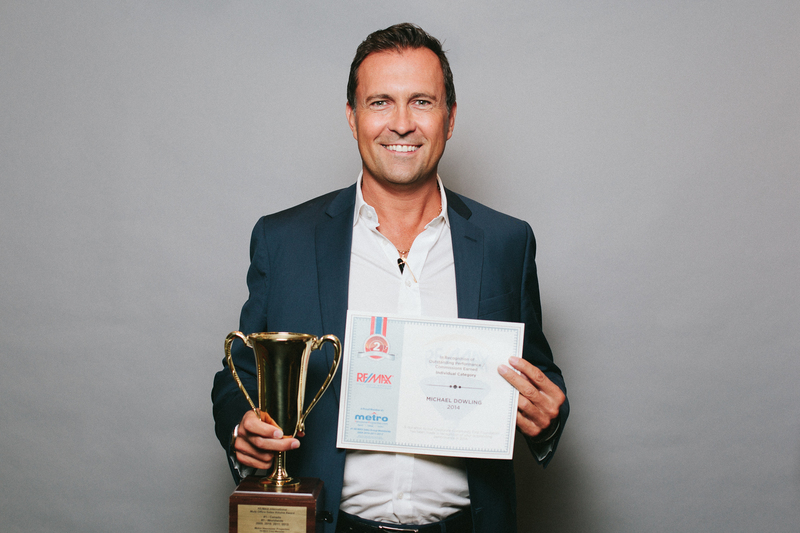 Michael Also Won the 2014 Prestigious "RE/MAX Chairmen's Club" Award - The Only "Non-Team Winner" in his Group of Vancouver RE/MAX Companies (Over 550 Realtors) and was #83 in the "Top 100 RE/MAX Realtors in Western Canada" out of 9,500 Realtors. Winner of the Prudential Sussex Realty's top "President's Circle Award" from 2004 to 2007 - awarded to the top 5% Sales Volume and the "Top 30 Sales Volume" Award in his first 9 months in the business. Michael also was the fastest Rookie to earn the prestigious "100% Club Award" while at RE/MAX - he did this in his first 7 weeks in the Business! A Top "Listing Specialist" and "Fine Homes Luxury Marketing Certification Holder"from 2004 to 2015, and a Certified "Senior Citizen Client Specialist". He is in charge co-ordinating the Marketing, Planning and Execution of each listing to get TOP DOLLAR and the BEST TERMS for your property transaction. Michael rose quickly to the Top 5% of all Lower Mainland Realtors in his 10+ years in the business and has been involved in over 600 sales thus far! 2016 was a banner year for us - we Listed and Sold more properties than 96% of all other Realtors in the Greater Vancouver Real Estate Board...Our Extremely Unique and Powerful Marketing Program has been perfected to produce exceptional results for YOU! Give us a Call Today to hear HOW we do it! These Results Are Produced From The Fact that Michael Cares About His Clients' Needs FIRST and Then Will Listen Ongoing To Understanding YOUR True Desires and Goals at Every Stage of the Buying and Selling Process! You Come First! Our Advisory Fee We Charge is Not Our Reason For Being. The Satisfaction of Seeing You Happy, Excited, Satisfied, Trusting and "Comfortable Thru The Process" is The Reason We Are In Business! We Apply a Very Sophisticated, Proprietary, "Forensic Marketing Technology" to Each Seller and Buyer Situation, and We Choose to Take Less Listings Than More at Any Given Time, To Have the Energy, Resouces, and Time to Focus on Your Successful Transaction! We All Know Focus is The Key To Success...If Your Past Realtor Experience Was Disappointing, That is Why ... Your Realtor Didn't Focus Strongly Enough on The Case ... The Market Has Changed, The Old "Listing Systems" Are Not Enough! Real Estate is A "Key Man" Type Industry - Like Lawers, Doctors and Dentists...You Get My Exclusive Expertise Every Step of The Way - As it Should Be! Our website was designed to provide you with information on our current and recent listings and all listings on the Vancouver and beyond MLS Systems. You will also find a wide array of useful resources, including links, reports, and contact information. Hire one of the best in the business that will listen carefully to your needs and not waste a moment of your time, ensuring that your real estate experience will be very enjoyable and memorable. Read his long list of "Happy Client Testimonials"! michael@michaeldowling.ca or call direct at 1-604-787-5568 today!